A trilobite changed my life. I know what you’re thinking, “Say what? That’s just crazy!” No, it’s true. Please let me explain. I’ve worked at the Houston Museum of Natural Science for close to half my life. Truth be told, the Museum has been a part of my life even longer than that, really, as far back as I can remember. One of my earliest childhood memories revolves around a tiny trilobite fossil my oldest brother bought at the Museum gift shop in the early 1970’s. I coveted this trilobite; I never wanted to possess something so bad in my entire six years on this earth. It was a tiny specimen, less than an inch in length, jet black, and I was enraptured with it. I now consider it the “gateway fossil”, responsible for my lifelong obsession with all things Museum. So, in some sense, I owe trilobites a huge debt for having the most amazing job. You can see a picture of the type of trilobite that I had below. Look at the second smallest in this growth series and you will know what my trilobite looked like. That being said, what were these fascinating creatures that left such and indelible mark on my life? Well, they’re extinct arthropods. They are distant cousins of the lobsters some of us so enjoy bathing in melted butter and eating, paired with a nice chardonnay. No red wines please, the tannins react badly with the iodine found in lobster. I wonder if trilobites tasted like lobster, if not, what wine should they be paired with? Sorry, back on topic, that’s fodder for a future blog. It just so happens that HMNS has the finest collection of trilobites I have ever seen. The variety in size and shape of these trilobites is enough to leave even the most experienced museum-goer wondering where to begin. From covered in “spines” to boomerang-shaped, these creatures ranged in size from a centimeter to up to seventy centimeters. That’s a lot of diversity! In fact, there are over 20,000 individual species that have been documented so far and without a doubt, there will be more to come. Trilobites had exoskeletons, you remember from grade school, say it with me! “They wear their skeleton on the outside of their bodies”. As a trilobite grew, it would shed the outgrown exoskeleton and replace it with a new, larger one. Interestingly, many trilobite specimens are actually fossilized exoskeletons, not the actual creatures. So, a single animal had the potential to produce more than one fossil over a lifetime. 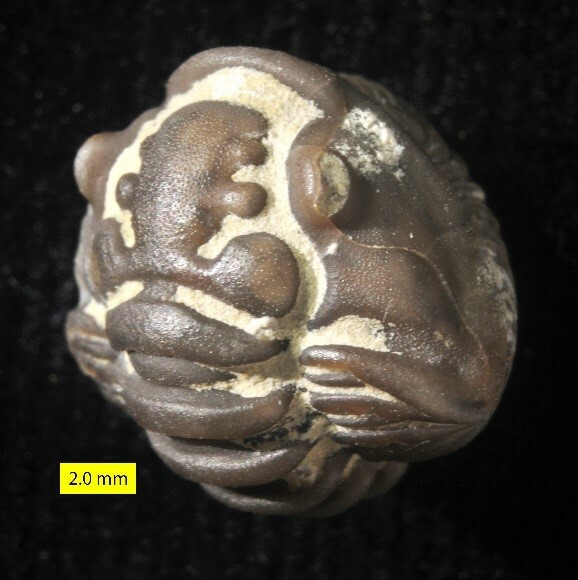 Some of my favorite specimens are rolled tightly in a ball, a defensive action taken by a distressed trilobite. Anyone who loved to collect doodle bugs and keep them in a jar, like me, will understand this behavior perfectly. Sometimes I like to imagine trilobites as giant doodle bugs and wonder what container would be suitable to keep one in. 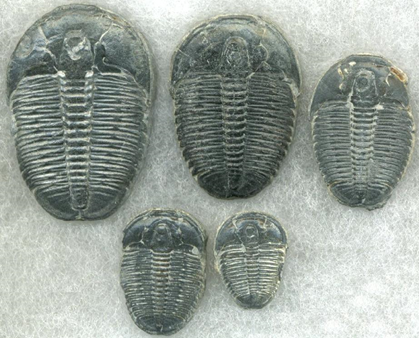 But, while doodle bugs are land dwelling, trilobites would have lived in a marine environment, some think there may have been some that existed in fresh water as well. People love to collect things and some have made wonderful collections of trilobites for the public to enjoy. The love of collecting these fossils is an ancient one. 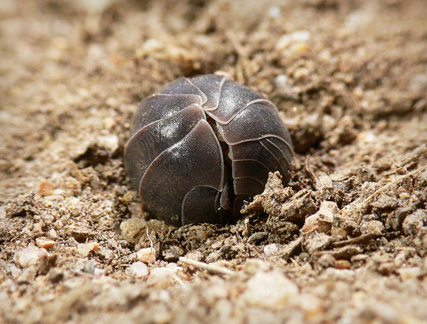 Trilobites have been discovered in human burial mounds dating back some 50,000 years. Pretty amazing stuff if you ask me! I wonder what future archeologists will think if the occasion ever rises for them to excavate the Museum’s collection in some 50,000 years. 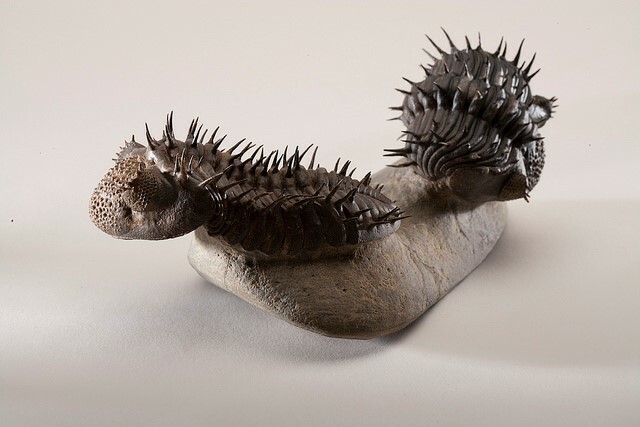 Well, I’m signing off, but if you’d like to discover more about trilobites, then plan to come to HMNS on February 25th to hear the erudite and entertaining, Richard Fortey talk about these amazing creatures he is so passionate about. Tickets are $12.00 for members and $18.00 for the general public. We hope to see you there!